Department of Art | Help Send FSU Art MFA 2016 Elise Thompson To The Vermont Studio Center! 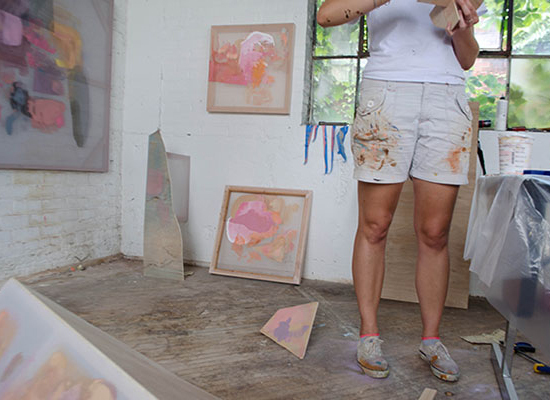 Home » News » Help Send FSU Art MFA 2016 Elise Thompson To The Vermont Studio Center! Help Send FSU Art MFA 2016 Elise Thompson To The Vermont Studio Center! FSU Art MFA ’16 Elise Thompson will be attending The Vermont Studio Center‘s summer artist residency as a way to keep her practice going. Each month, VSC welcomes over 50 artists and writers to its historic campus in northern Vermont. During her 4 week stay in July, Elise can focus on her work as a visual artist for a concentrated, uninterrupted time away from her jobs and daily routine. The Vermont Studio Center also offers the unique opportunity to meet other creatives from across the U.S. and around the world. Attending a residency for Elise’s career is important as an emerging artist. Small grants are on her side, but she still hasn’t made ends meet to make this residency happen! Check out Elise’s Indiegogo campaign for more! Perks such as postcards and works of art are being offered in exchange for donations. If you can’t donate, just share her campaign on social media; every little bit helps!